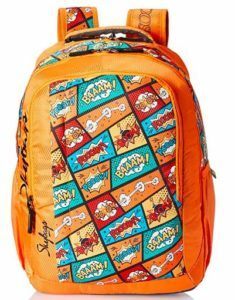 Buy Skybags Polyester 30 Ltrs Orange Casual Backpack (BPHELPF1ONG) at only Rs 604. Limited time offer. Order now before the product price goes up. How to Buy Skybags Polyester 30 Ltrs Orange Casual Backpack (BPHELPF1ONG) at only Rs 604?